It was a strange, exhilarating, depressing yet exciting time to be a six-year-old lamppost fan back in 1963. 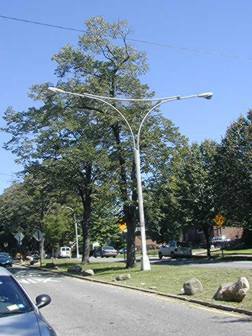 My street, Sixth Avenue in Bay Ridge, Brooklyn, was lined with the Victorian-era chocolate-colored “Corvington” long-armed mast poles (similar to the one pictured above, known officially as the 24M) I had grown used to in my short life. 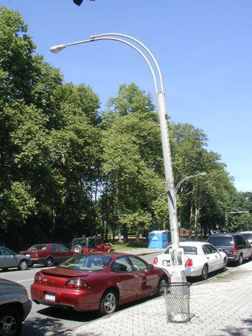 To be sure, the new octagonal-shafted aluminum poles, with their odd greenish-white mercury lights, had begun to make some inroads. Yet, at the time, I thought the castirons, which my 6-year-old brain was even then perceiving as things of beauty, would be there forever. How wrong I was. …with a new, streamlined prototype that would dominate the avenues, side streets, parkways and expressways of New York City for decades. They were the Deskeys. 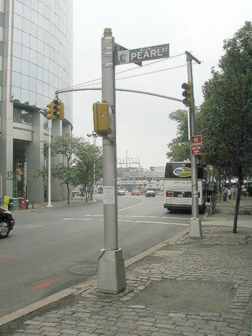 For overnight, it seemed, in 1963 the castirons of 6th Avenue, as well as most of the other ones in the city, were swept away…replaced by the goosenecked, ungainly specimens you see at left. They proliferated in New York City streets like ragweed. They were especially attracted to expressways, but they were equally at home on side streets (the new aluminum octagonal poles never invaded expressways). The older specimens have their date of installation as well as A.S.W. Co, stamped on their bases. American Steel Works, perhaps? These days, ASW is a steel company, all right, but based in England with 100% of its business taking place in England and on the Continent. At first I resented these odd interlopers. 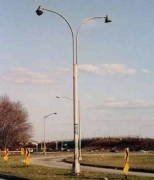 How unlike the other genuses and species of New York City lampposts they were. It was only much later on that I came to appreciate them not only for their adaptability, but for their pedigree: one that goes back to the creator of the interior of Radio City Music Hall, the Crest toothpaste tube design, and other recognizable icons of the 20th Century. His name was Donald Deskey; I’ll call these poles, of his design, the Deskeys, even though their proper name are SLECOs, which stood for Street Light Equipment Company. 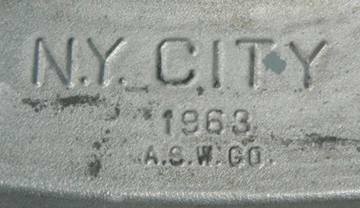 Working on commission to NYC in the late 1950s, Deskey produced what can be called the first modular lamppost used in the city. 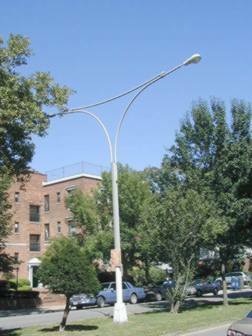 The poles are a flat, ovoid shape, apparently produced to allay damage to cars that may be passing over downed poles. Each pole has two lengthwise slots, from which can be held a variety of mastarms. The Deskeys seen here are used on especially wide roads. They are almost exclusively used on expressways and parkways; it’s unusual to see them used on street settings like Flatbush Avenue (left) and Riverside Drive (others). In particular, Riverside Drive has a flock of them. 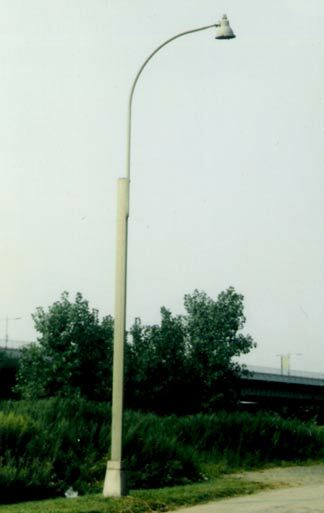 When the SLECOs twinned up to illuminate each side of a roadway, the double mast is replaced by a guy arm that supports each extra long mast. Each mast has one or two braces depending on the width of the roadway. Note the double mast supported by the two pole slots and a brace. A weakness of the SLECOs is that the gooseneck mast is attached to the pole by two bolts, which invariably come loose after some years. In this unusual arrangement, a long-masted and short-masted SLECO share the same pole, steadied by the same guy mast the more common longer-necked poles use. The longer mast illuminates a pedestrian staircase leading to an overpass over the Belt Parkway in Sheepshead Bay, Brooklyn. 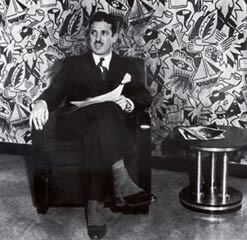 Early in their career, the Deskeys found themselves allied with the luminaires of the previous era, the cup-shaped teardrop lights that had earlier been hung from the castiron legions and then the new octagonal poles. 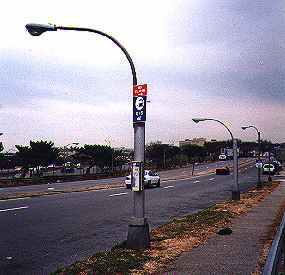 After briefly topping the SLECOs, most notably on Shore Parkway in Brooklyn and Queens (above), the “cups” were retired. 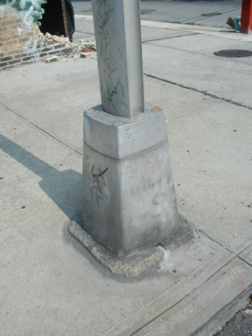 While even the utilitarian octagonal poles that were phased in in the early 1950s featured some decorative fluting on their bases, the Deskeys broached no such nicety. 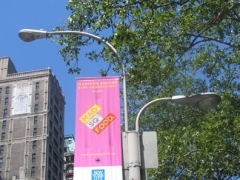 LEFT: Even the orange plastic reflectors that shield the fire alarm alert lamps on NYC lampposts received a redesign from Deskey for the SLECOs. 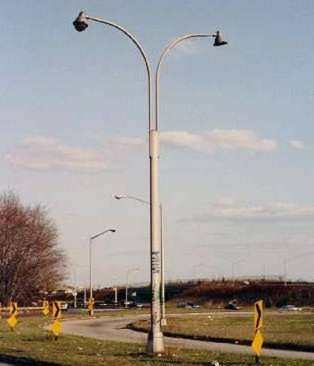 While some of the Deskey lamps featured the somewhat cumbersome cylindrical domed shield most other NYC lampposts feature, others had this somewhat squarish design. 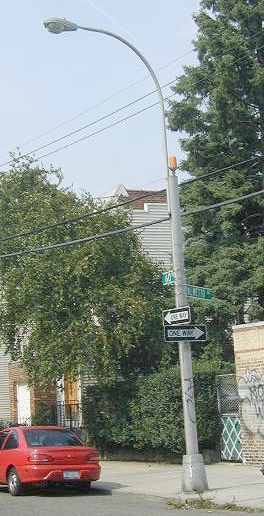 Note that while esthetically more in tune with the Deskey lamp, it was ultimately impractical; most examples now have the reflector taped on, like this one on 46th Avenue in Flushing. The lengthwise slot is clearly seen here, as well as the flimsy bolt that attaches the mast to the pole. It was the Deskey’s adaptability that made it so popular during its run in the 1960s and 1970s. 2nd from left: a shaft emanating from a SLECO’s groove holds floodlights illuminating the Metropolitan Museum of Art on 5th Avenue and East 82nd Street. 3rd from left: Lower Fifth Avenue has many of these SLECO’s on street corners. 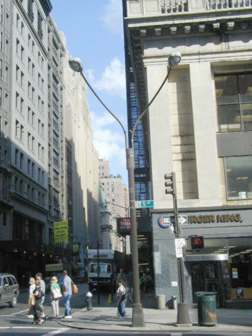 The arrangements of the vertical slots makes it possible to illuminate each street from one pole. 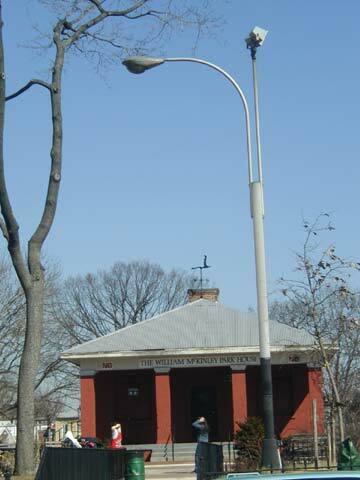 It’s also possible with the contemporary octagonal poles, but only with a clumsily attached second mast. 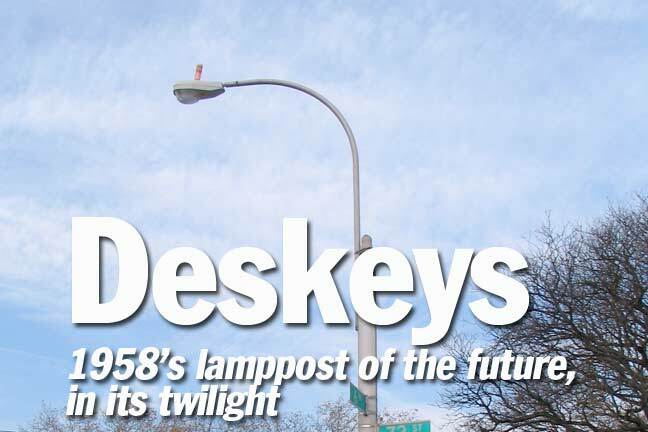 The Deskeys are truly modular in that they can be adapted for a wide array of uses, not necessarily street lighting. 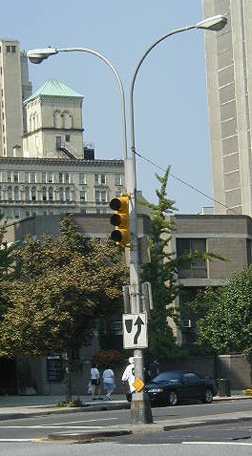 The pole at left is used for a traffic light (an arrangement seen on many parkways with medians) while the pole at right holds a pedestrian control light as well as street signs. 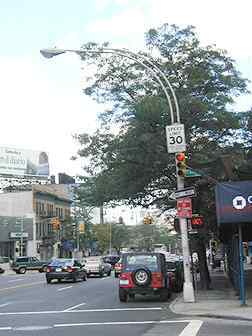 RIGHT: Ditmars Boulevard near 82nd Street, Jackson Heights. 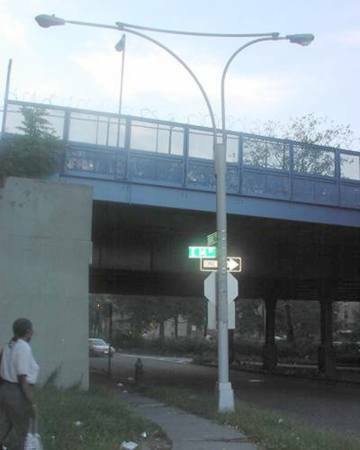 At the streets bordering LaGuardia Airport, and occasionally beneath roadway and elevated train overpasses, can be seen specially produced shorter SLECOs. 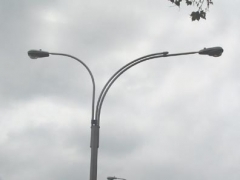 Shorter streetlamps are madated by law in certain areas near airport runways, so pilots will not confuse street lighting for runway lighting in inclement weather. 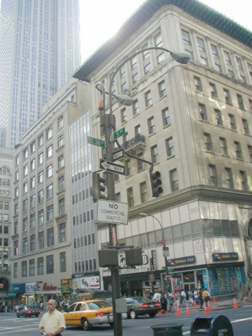 It’s likely, however, that the most imaginative transformation the Deskey SLECOs were ever assigned came on Fifth Avenue between 32nd and 62nd Streets, in which the legions of castironType 3 and Type 24 “twinlamps” that had dominated the Queen of Avenues since 1892 were suddenly eliminated and replaced by the fanciful concoctions seen here. 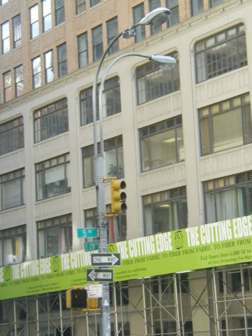 On Fifth Avenue, in addition to the two vertical grooves on the shaft, a special attachment was added at the apex that allowed extra arms to be attached to the pole. The primary role of this special attachment was to carry the two main mastarms, which stretched out over Fifth Avenue in a “S” curve. Other arms carried orange fire alarm lights, stoplights, and other attachments. In addition, a special mast could be added to the apex that could carry banners and flags for special occasions. 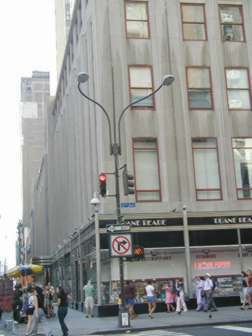 For a short while, the SLECOs even carried the minuscule Mercurys that once graced the specialized Fifth Avenue traffic lights, which were removed when the twinlamps were. The SLECOs, which appeared en masse in 1964 and 1965, while not completely satisfying lovers of classic castiron lampposts such as the twinlamps, were a very worthy addition to Fifth Avenue. RIGHT: Now and then the NYC Department of Transportation would cut corners and mount a cut-rate version of the Fifth Avenue SLECO. This one has its shaft turned sideways, and the “S”-shaped masts mounted on the vertical grooves. 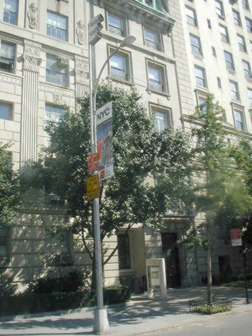 More often, though, when a Fifth Avenue Deskey dies, it gets replaced by a ‘normal’ aluminum octagonal pole, so that today, Fifth Avenue, which once had an unbroken line of double-armed Deskeys from 32nd north to 62nd Street, these days has a crazy-quilt menagerie of varied types of lampposts. Once again, Fifth Avenue, the Queen of NYC Avenues, needs a remake of the type it got in 1965. Perhaps a tasteful mix of twinlamps and Deskeys?